Add Want A Fresh Start, LLC to your contacts. Nearly 9,000 bankruptcy cases were filed in Denver and northeast Colorado during 2016, according to official federal bankruptcy court statistics. That total represents an average of 750 new bankruptcy filings each month. More than three-fourths of those cases involved debtors seeking liquidation—that is, they sought to discharge their debts because of a lack of income or other financial resources. DO I FILE FOR CHAPTER 7 OR CHAPTER 13? A liquidation is known as a Chapter 7 bankruptcy. For many debtors, Chapter 7 offers the quickest way to a fresh start free of crippling debts, such as credit card balances or unpaid medical bills. In a Chapter 7 case, a Denver bankruptcy judge will appoint a trustee to liquidate some of your assets and repay your creditors as much as possible. Any remaining unpaid debt can then be discharged or canceled, meaning you are no longer under any legal obligation to pay. With a Chapter 13 bankruptcy, in contrast, your debts are not immediately discharged. Instead, you submit a plan for repaying your debts to the court. This option allows you to manage your debt over a longer period of time, generally three to five years. Only after you complete this plan will the bankruptcy court discharge any remaining debts. Of course, Chapter 13 bankruptcy assumes the debtor has a regular income and can afford the monthly payments. The actual amount you must repay each month will depend on a number of factors. For instance, the bankruptcy court will determine your “disposable income,” i.e., your gross wages less certain necessary living expenses and payments for any priority debts, such as your mortgage. Some people are reluctant to file for bankruptcy because they fear they will lose what little they have. But Colorado law provides for a number of bankruptcy exemptions. These exemptions allow you to keep much of your personal property so that you are able to rebuild your credit and your life following the discharge. For instance, Colorado permits all debtors to exempt up to $3,000 in household goods, $2,000 in clothing, and $2,500 in jewelry. You may also keep a certain amount of equity in your car or house. However, if the value of the property exceeds the exemption amount, the bankruptcy trustee may sell the property, allowing you to keep any exempt proceeds. 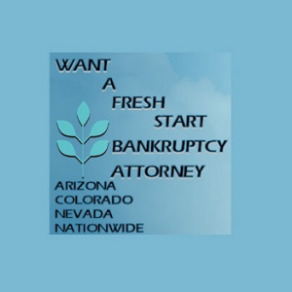 It is possible to file for bankruptcy in Denver on your own, but it is not recommended. Bankruptcy involves a good deal of paperwork. If you make a mistake or misunderstand the law, you may accidentally run afoul of the bankruptcy court, which can jeopardize your chances of obtaining a discharge. A qualified Denver bankruptcy attorney can guide you through every step of the Chapter 7 or Chapter 13 process. Also keep in mind that while many Chapter 7 cases are resolved within a few months, a Chapter 13 case, depending on the terms of your repayment plan, can remain open for many years. This fact emphasizes the necessity of working with an experienced bankruptcy lawyer.